The RNTAC offers assistance in the development of local noise ordinances, and conducts training in Community Noise Enforcement leading to court recognized certification. 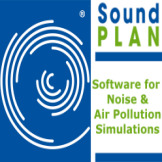 They also serve as a reference source on a wide range of noise pollution issues. They are housed within the Department of Environmental Sciences, Rutgers - the State University of New Jersey.